Twentieth Century Fox has released a new promo video for Alien: Covenant titled “She Won’t Go Quietly” that’s part-clip, part-music video, and all suspense. Ridley Scott and 3AM conceived the video and it was directed by Scott’s son, Luke (Morgan). 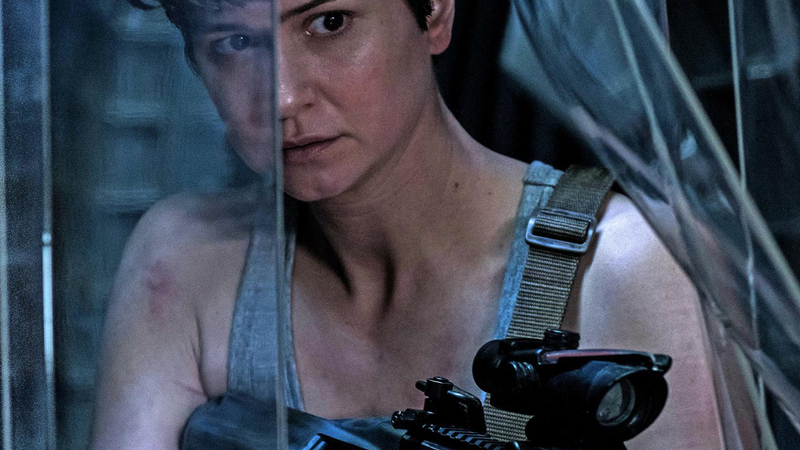 The video features a short sequence in which the Covenant’s onboard AI helps Daniels (Katherine Waterston) against the alien incursion. Acclaimed filmmaker Ridley Scott returns to the world that he created in this sequel to Prometheus written by John Logan (Spectre). Alien: Covenant stars Michael Fassbender, Katherine Waterston, Billy Crudup, Danny McBride, Demián Bichir and Carmen Ejogo.